Ichabod Crane, a lanky, lean, superstitious school master, arrives to teach the children of Sleepy Hollow. As he vies for the attention of the lovely Katrina Van Tassel, his rival for her attention is the town rowdy, Brom Bones. Brom tries to scare Ichabod away with local superstitions and ghost tales. Soon enough the ill-fated schoolmaster encounters a terrifying legend come to life -The Headless Horseman of Sleepy Hollow. 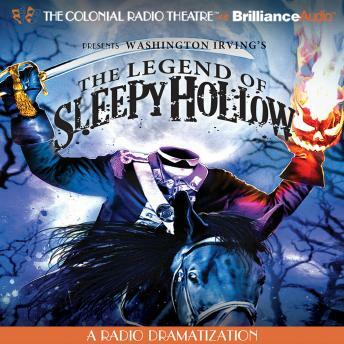 Meticulously adapted to stay true to the mood and flavor of the book Washington Irving is most famous for, this Colonial Radio presentation won the Charles Ogle Award for the Best Fantasy Production of 2005.